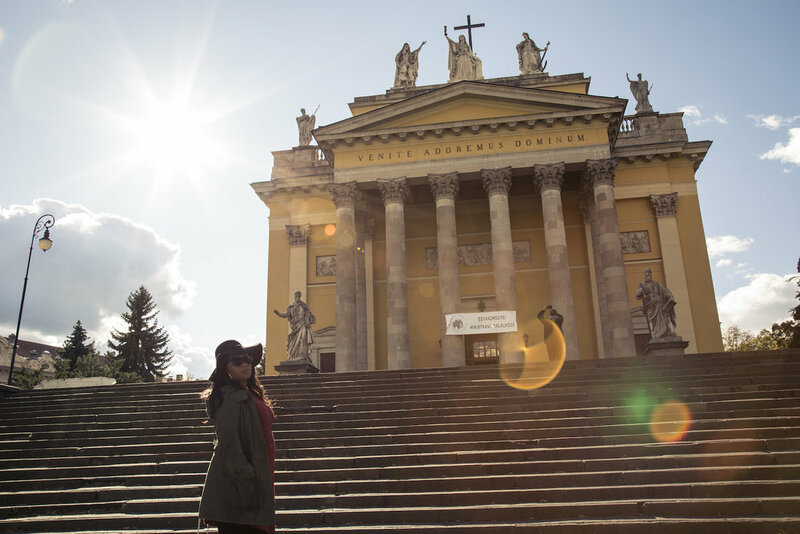 When looking for a day trip from Budapest that embodies rich history and beautiful scenery, head north to the town of Eger. A little less than 2 hours from Budapest by car, you can enjoy this Castle city that's also known for its Turkish influence, and their famous Bull's Blood of Eger ... aka wine. 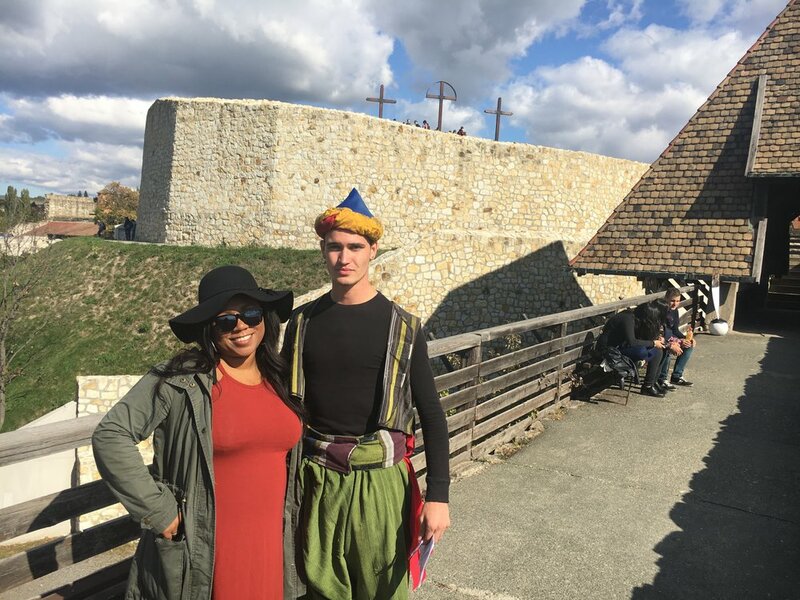 Here are some of the top attractions I visited with my husband during our day trip to Eger. The Castle of Eger was beautiful. We started and ended our day exploring the castle as we were able to re-enter the grounds with our ticket. We took the morning to explore a few exhibits and explore the lay of the land. 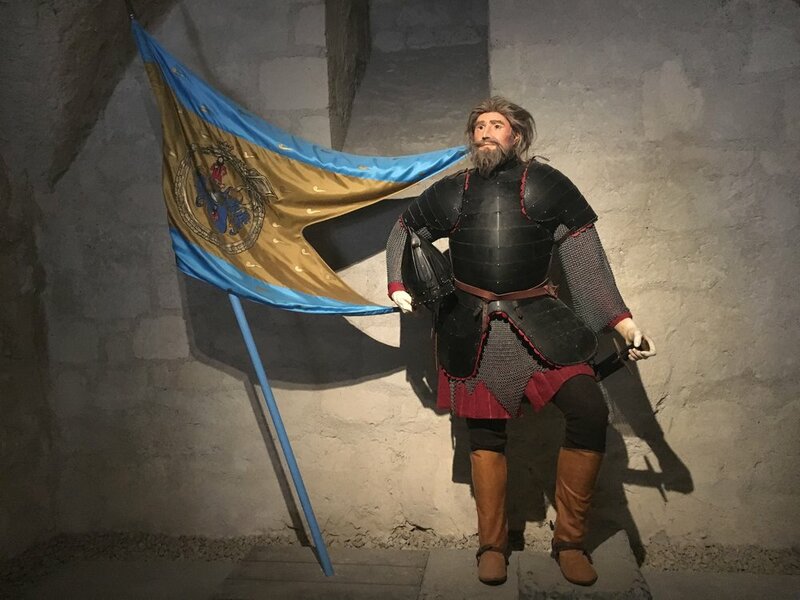 My husband loves to tell the story about the battle of Eger in 1552, where for the first time in history, the women stepped up and fought alongside the men to help defend the castle against the Turkish. This battle was written about in books and even turned into a movie. The battle brings great significance because this was the last castle in Hungary that wasn't taken over, and if it was, there would have been no more Hungary. There were several exhibits, from the Hall of Heros, prisons, artifacts, and more. We split up the day and did lunch in the town square and saw some of the sites below, as they closed earlier than the Castle, and finished our day with a beautiful sunset back at the castle. We had lunch in the square, which had various options, and picked one that had a decent vegetarian option for me. My lunch was delicious!! 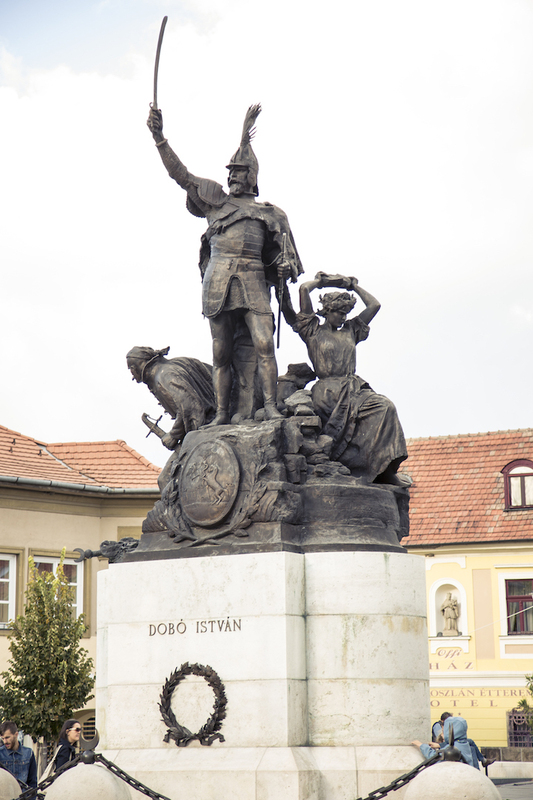 We stopped, of course, and took pictures of the statue of István Dobó, who was the leader in the battle of 1552. Off of the town square of Dobo Square you'll find a large cylinder called the Torok Kori Minaret. The Minaret is currently under restoration and cannot be climbed, but it is very interesting to see what life was like in the 1500's as the Ottoman Empire ruled temporarily. After walking around the town square, we ended up at The Basilica, which is the third biggest Basilica in Hungary. 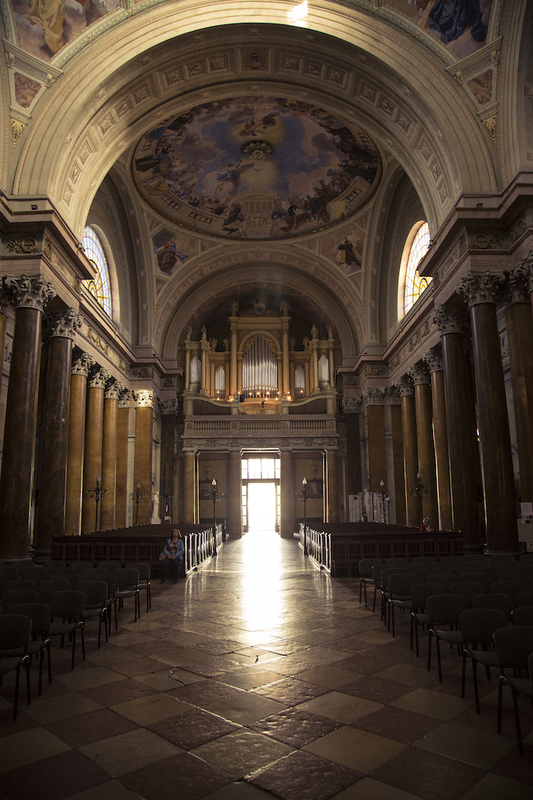 (Check out the largest Basilica in Hungary at Esztergom) There are huge murals inside the three domes on the ceiling, and the second largest organ in Hungary can be seen in this massive church, as well. An organ performance can be heard at noon daily. Which of course we missed. The entrance was free and a must visit. 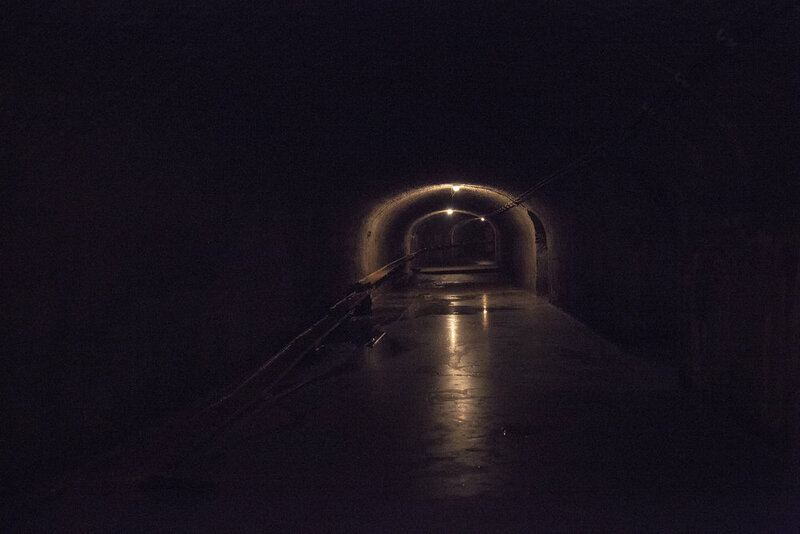 The Town under the Town is a guided tour given in Hungarian showcasing the history of an old wine cellar underneath The Basilica. So yes, the tour was in Hungarian, but they also offered a read along guide book that gave you the same information. I honestly found it interesting even though I had to read and missed a few jokes that the guide would tell to the other tourist in Hungarian. 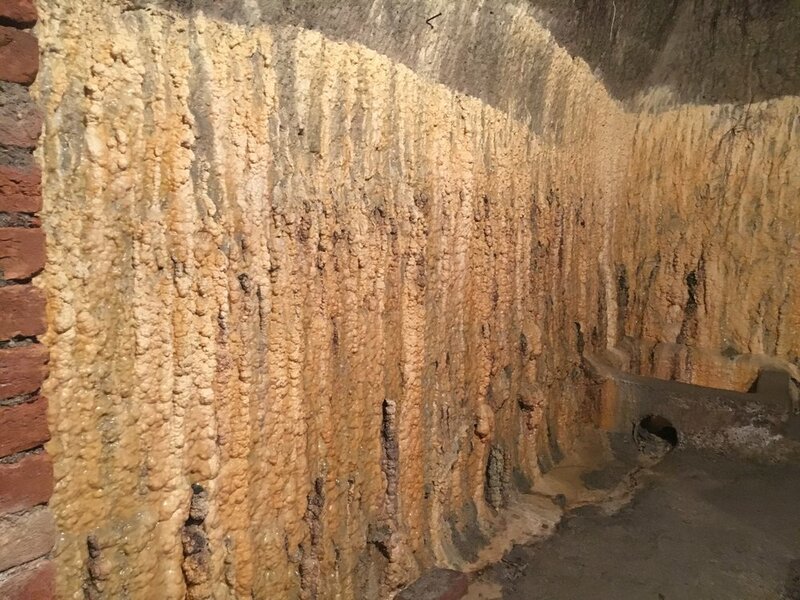 The history of the several invasions which made this wine cellar inoperable, is sad, but I learned some interesting facts about why its damp down there. The fast growing limestone can be seen, as well as the history of the wine cellar. So yes, it's an empty wine cellar, but still I thought it was worth an hour of my time. The guided tour starts at the top of each hour, so arrive at least 15 mins early. After the tourist attractions closed in the city we headed 15 minutes by car to the Valley of the Beautiful Women, otherwise known in Hungarian as Szépasszony Völgy. This area houses over 40 wine tasting cellars and several restaurants. With each wine cellar there is a different atmosphere and decor, but the fact that they are legit cellars within the caves makes it soooooooo cool. Luckily for my husband, I am pregnant and was the designated driver, so he went wild and had a few tastings in several of the cellars. We brought home over 5 bottles of the famous "Bulls Blood of Eger." 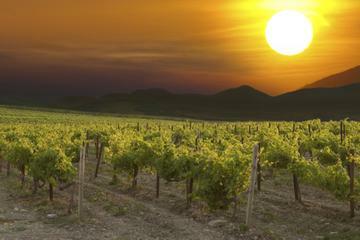 This is a red wine that's basically a mix of all the red grapes and very famous to this region – it's a must try. Before we took our two hour journey drive back to Budapest, my husband had to soak up the wine with an amazing Hungarian dinner. There are several restaurants in this valley and we just picked one on a whim. Nothing special, but good. If you're looking for a more personalized experience of the wineries, below is a day trip package that includes wine tasting and lunch. Discover Hungary’s famous Eger wine region, known for its ‘Bull’s Blood’ (Egri Bikavér) reds, on this small-group day trip from Budapest. With an expert guide, head into this picturesque area and visit three wineries to sample five to eight wines at each, and take a vineyard tour. 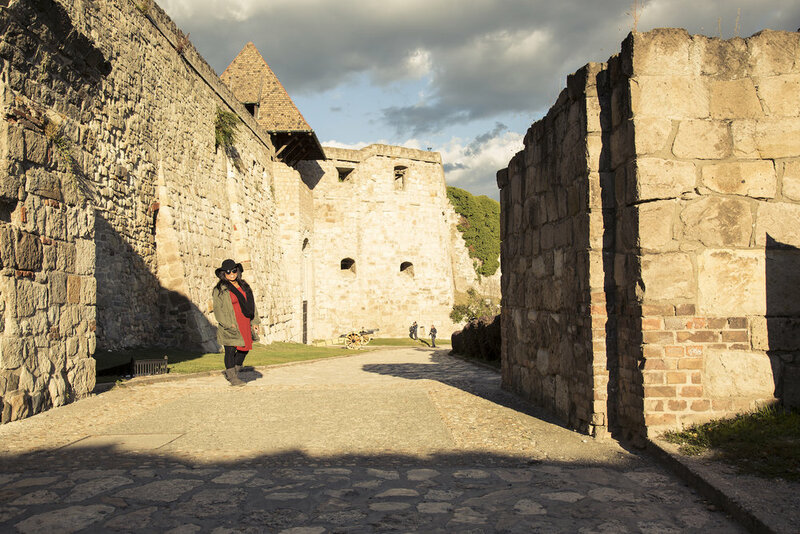 Punctuate your tastings with time in the history-steeped town of Eger, and a delicious 3-course lunch at a restaurant. At the last winery, pair your wines with palate-pleasing food such as cheese and cold cut meat. Numbers are limited to six, ensuring a personalized experience. This was an amazing day trip from Budapest by car. There are several ways to get to Eger (bus, train, etc.) but we love the freedom of having a car. We were able to go north to Eger on Saturday and then we went east to Esztergom and Visegrad on Sunday! It was a full day of excursion and we started our day at 7am and got home by 10pm, but it was totally doable. I would love to hear about your time in Eger. Did I miss anything? Got any recommendations? Let me know in the comment section below.